I do love Nebraska so. 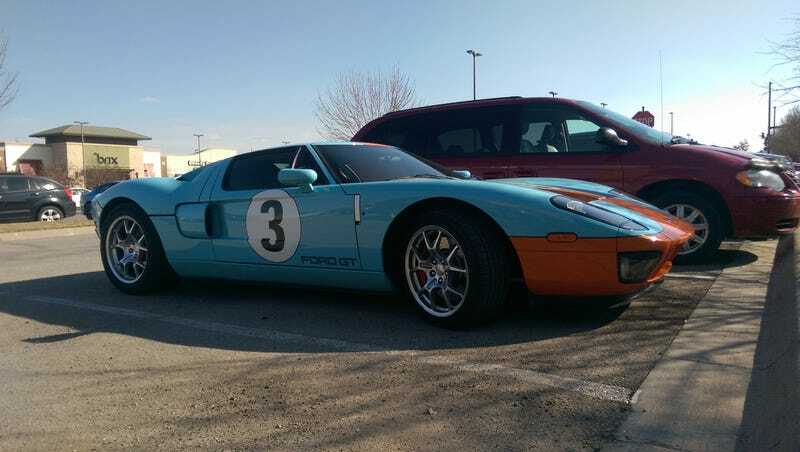 This week has contained Lambos and an R8 V10, and now there’s this gorgeous Ford GT Heritage edition, out to play on a sunny day. And it wasn’t the only one! I’m not a fan of the color, but overall I definitely am a fan of this Cayman R.
That 330hp featherweight is eighteen full seconds faster around the Nurburgring than this 555hp leviathan, the BMW X5M.